As a young architect I used to wonder why older architects were so resistant to new ways of doing things and to using new materials. But having spent many years conserving Scotland’s beautiful architectural heritage, I now fully understand their reasons. In the great mortar debate, I have seen difficult-to-repair damage caused by using cement on prized old buildings where I know lime should have been used. Our practice is currently working on four historic listed buildings which have been damaged by the unfortunate use of cement mortars over the last 70 years. This is a theme for most conservation architects today. 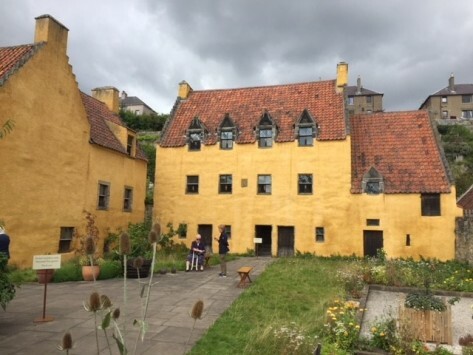 The problems include damp interiors caused by a thin cement render applied over original lime render, which can be a contributory cause of dry rot. 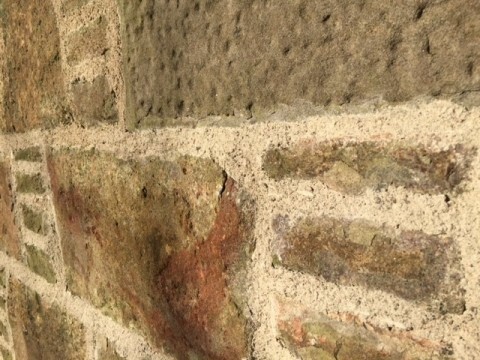 Another common one is causing spalling stonework around joints in ashlar walling leaving the cement-pointing standing proud of the surrounding decayed stone. Also, inappropriate cement repairs and pointing can cause accelerated decay of architectural features. Portland cement became widely used from the 1930s. The perceived advantage of the product was a faster build time, and harder, stronger mortar. This can be fine in some modern construction but on traditional buildings with stonework and with solid walls it just doesn`t work. 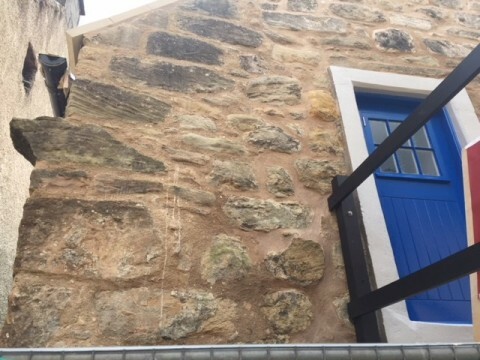 The building conservation industry has been relearning and applying the skills of using lime mortar. Something that used to be commonplace has had to be rediscovered. The body leading this in Scotland (and in fact the world) is the Scottish Lime Centre in Fife. We use them for mortar sample analysis, advice on sources of sands and aggregates, and for help with specifications generally. They are an invaluable resource and it’s great to see effort being put into repairing our historic buildings properly. To strengthen the foundations of my lime knowledge I attended a course there. Following some classroom sessions, we were outside building a lime kiln and burning limestone to make quicklime. We then slaked the quicklime by adding water, which boils violently in an exothermic reaction to form lime putty. You then add the aggregate (we used a course well-graded sand) and knock up the mix with long-handled trowels until it’s the right consistency. The next day after some further manipulation of the mix it can be used. This hands-on training continued with hammers and chisels removing the pointing from a wall to just deeper than the first finger joint, cleaning out the joints and pointing with the lime mortar using a pointing iron. The joints were then beaten using a stiff brush. So, what’s the point of using lime? Lime work does take more knowledge and care than most modern building materials, and it can go wrong if mistakes with the mix proportions are made, or even if the weather is too cold. So, expertise is key. 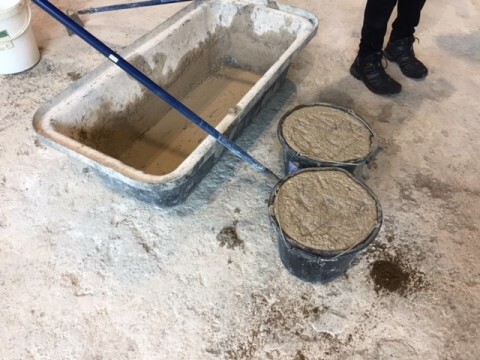 But, the key reason that we use it over cement is because it allows buildings to breathe, to take on moisture and to give it off again while also providing a weathertight envelope. Lime’s other advantage is that it eliminates the need for movement joints. It is also extremely attractive, as anyone will know who has compared the look of lime-pointed stone buildings or lime-washed lime harling to buildings where cement has been used. As architects, we need to think years ahead for the buildings we design and build. We must make sure that this sort of detailed work is being done properly on site. That was my excuse anyway, for a few days out of the office at the Scottish Lime Centre. But I would recommend the experience to anyone who wants to get involved in historic buildings. And, for me, this extra hands-on knowledge has proved invaluable in the certainty of doing conservation work properly.